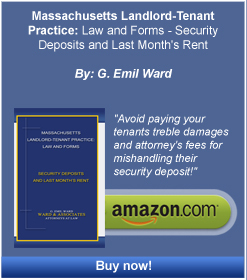 Ward & Associates - Zoning and Variances - Boston Real Estate Attorney. Eviction Law. Zoning and Variances. Housing Discrimination. There are times when owners of existing properties or when the developers of proposed construction need to ask the city or town for a variance, or a change in the allowed use of the property or the proposed property, in order to make the highest and best use of the real estate. The process of seeking the municipality’s accommodation to the real estate owner’s needs, constitutes the process of obtaining a variance, or special permit. At this time we provide Zoning and Variances counseling. This generally involves reviewing the physical site for violations of the State Building Code, obtaining whatever new plans are required, taking the matter through the building and zoning departments, through the appropriate appeals boards or to the appropriate court, if applications to the appropriate boards have failed to yield the variance or special permit to which the property owner or developer is legally entitled. Property owners sometimes find themselves with multi-family properties they have bought thinking the occupancy of all apartments was legal when in fact formal legalization of all units was never recognized by the city or town. Sometimes citations for violations of zoning laws follow closely on the heels of problems with a tenant who is withholding rent allegedly for uncorrected defects in the apartment. It is at this time that a landlord is most vulnerable to the tenant’s or town’s pressure on one’s income stream. Loss of rental income from an illegal apartment can cause a serious problem in continuing to make the mortgage payments. It is especially at this time that the landlord needs an experienced reliable law firm to address the situation immediately. Please contact us if you or anyone you know has recently suffered from these types of zoning or use problems. We would be happy to discuss our experience, procedures and fees with you. Ward & Associates is a Boston law firm dedicated to helping clients first avoid legal troubles with proper legal planning and then dedicated to helping our clients successfully overcome legal problems which proved unavoidable. © LEGAL UPDATES. A discussion of Mandatory Rent Escrowing has been posted on the Legal Updates Page. Please go there now to read it.